ALL AKITIO PRODUCTS CARRY A TWO YEAR WARRANTY. Neutrino Thunderbolt Edition Experience the awesome speed, performance and flexibility of ThunderboltTM. Slim, compact and simple to use, this portable drive is designed for speed. 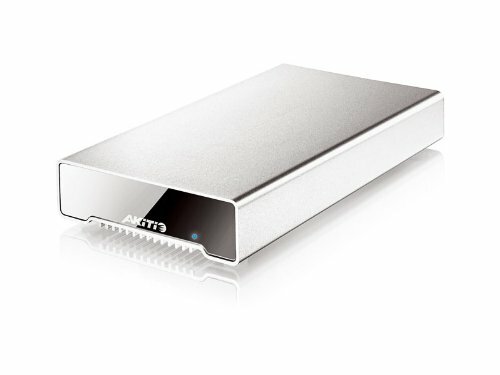 High-Speed I/O Performance By incorporating the awesome Thunderbolt connection and combining it with a SSD drive that can keep up, Akitio's Neutrino Thunderbolt Edition is ready to deliver the fastest transfer speeds for for a single drive in an external storage device that is currently available in the market. Portable with Bus Power This sleek and compact drive runs on bus power alone. Simply plug in the device and you are set to go. Hassle-free and lightweight, the Neutrino Thunderbolt Edition is the ideal companion for your notebook.